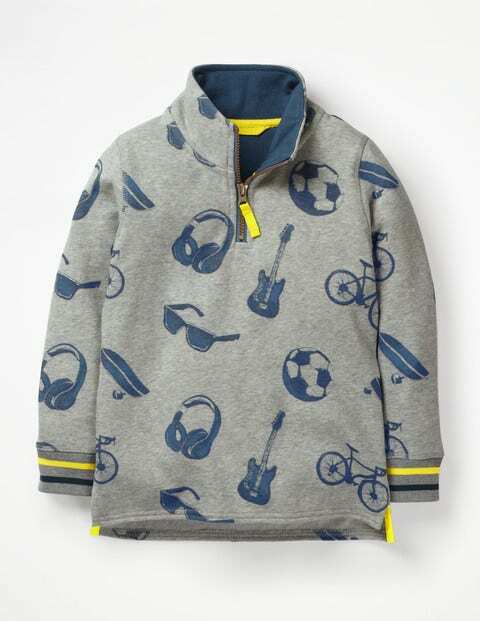 Chilly weather won’t stop Mini explorers from venturing outdoors, so we made sure our sweatshirt is ready for days when there’s a nip in the air. The half-zip jersey design has ribbed cuffs and a funnel neck to keep things cosy while the conker search is on. Choose between a printed option or a plain one with sporty cuffs.